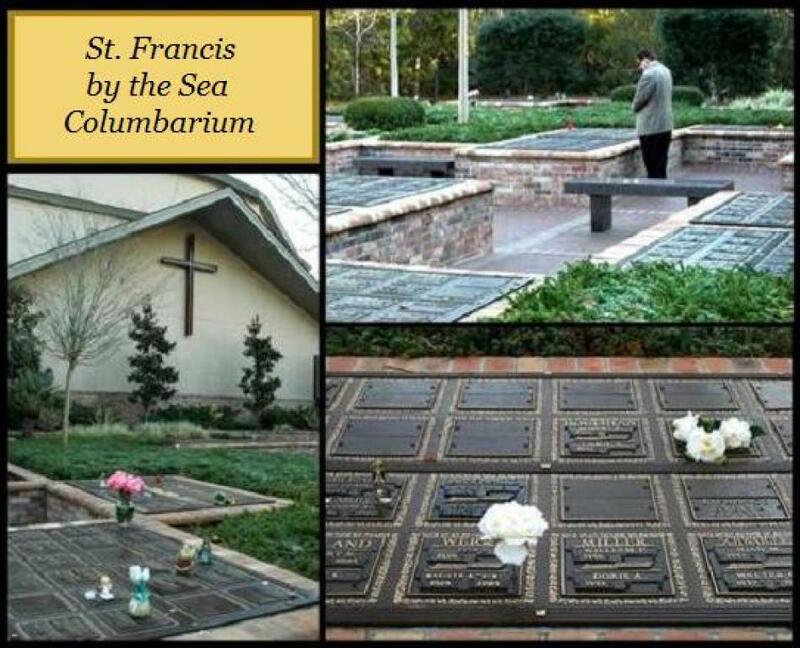 The St. Francis by the Sea Columbarium is located behind the Church sanctuary. Those desiring niches must be past or present members of St. Francis by the Sea, Holy Family Catholic Church or immediate family members of a parishioner. The Columbarium provides a reverential place for inurnment of our beloved deceased. It reposes the ashes of those who have crossed over to eternal life in a setting close to familiar surroundings in which they worshiped. To the living it provides a garden spot for visitation, remembrance and prayer, as well as a setting for liturgical and sacramental services. Thank you to all who have followed the policy to use 4" terra cotta pots for their real and artificial arrangement. With Christmas season upon us, we want to remind you that only arrangements in 4" terra cotta pots will be left on the niches. Any ornaments, trinkets, statues, or golf paraphernalia left on the niches will be removed unless they are included in the 4" pot. Anything removed will be brought to the parish office. To contact Parish Office for information, enter the information below.